Enter the Preciosa Lighting competition from DOWNTOWN DESIGN for a chance to win an exclusive trip to the Crystal Valley! Design professionals can win a rare opportunity to discover the world of Czech Bohemian crystals, courtesy of Preciosa Lighting. 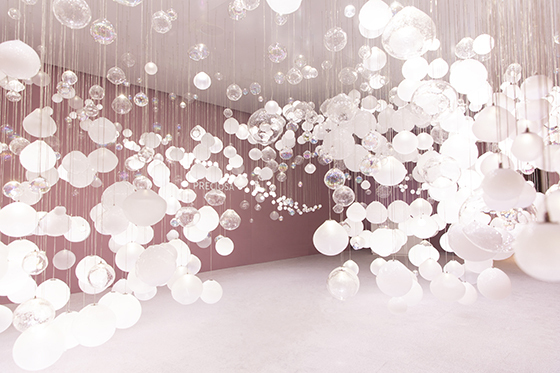 To celebrate their Red Dot: Best of the Best 2018 award for the interactive lighting installation ‘Breath of Light’ which makes its regional debut at Downtown Design 2018, Preciosa offers two design professionals a once-in-a-lifetime experience. Starting in the Czech capital where they will enjoy guided tours of Prague’s most iconic landmarks, the winners will visit Crystal Valley, Bohemia. Home to some of the most exclusive Bohemian crystals from the beginning of the 17th century, this is where Preciosa has been mastering Bohemian crystal chandeliers since 1724, creating works that exemplify the very best of Bohemian Crystal, reflect genius loci and a vision for the future. The winners will be among the first to visit the newly designed Preciosa atelier, where the brand’s Creative Directors Michael Vasku and Andreas King will take them behind the scenes of the making of a Preciosa masterpiece. The winners will learn the art of glass blowing from Preciosa's master craftsmen and make their own piece at the kiln. Trade professionals can register to attend Downtown Design 2018 and qualify to enter the draw on 14 and 15 November 2018. (*)Winner will need to be present at the Preciosa Booth at 7pm on 14 and 15 November 2018 to claim the prize. One winner will be announced each day. Standard T&C apply.